Wildfires throughout Nevada have increased the concern over wildfire preparedness. Continue reading to find out how animal services can help with animal evacuation, learn about a disaster preparedness event, and discover resources to help you decide on proper plant choices in your home landscaping. Unfortunately, wildfires can sometimes cause evacuations. It’s important to not only prepare your family for evacuation but also your pets. 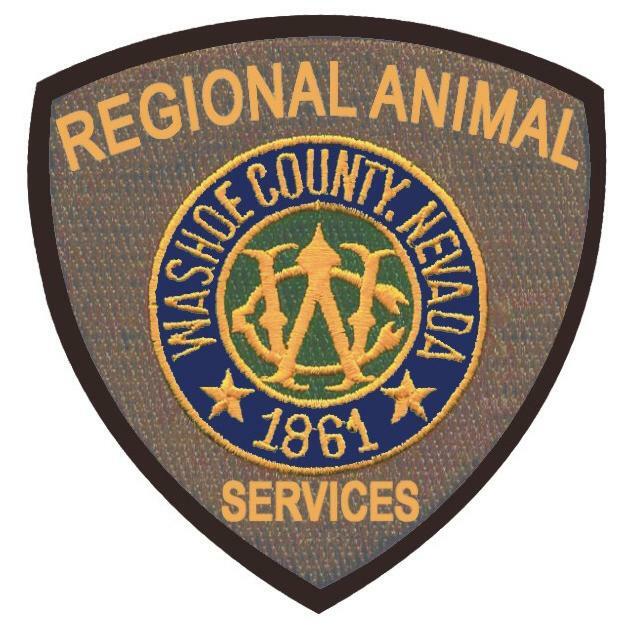 We asked Shyanne Schull, Director of Washoe County Regional Animal Services (WCRAS) to answer a few questions about their services. 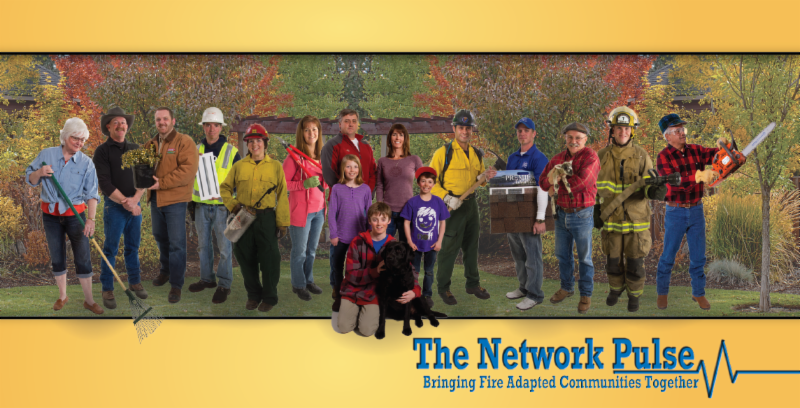 What services do the WCRAS offer to residents who are evacuated from their homes? WCRAS assists with evacuations of animals from their residences and also assists with emergency sheltering in the event of an evacuation. 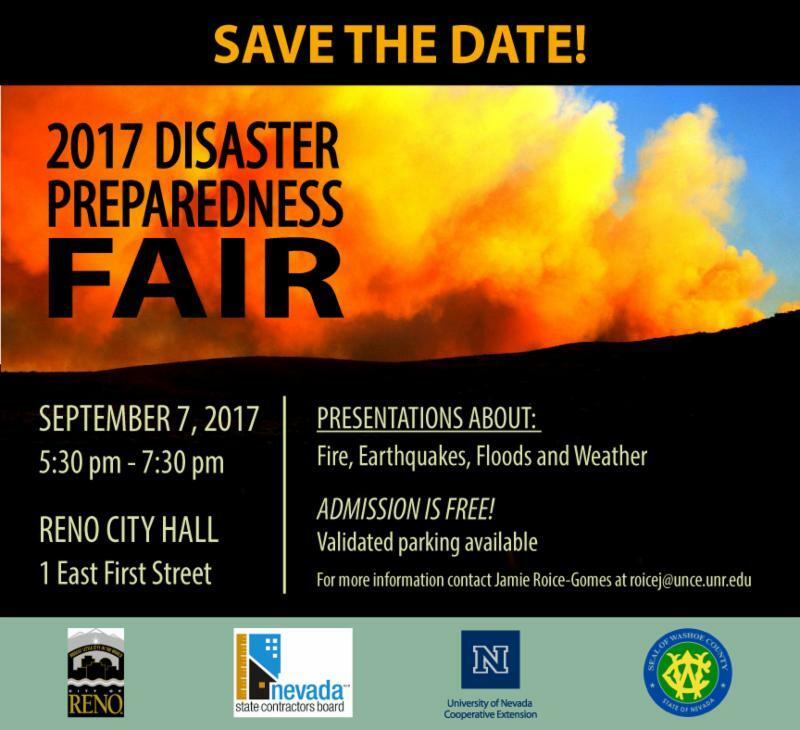 Typically, those evacuation centers are set up at schools and in some cases where livestock are impacted, we may set up at the Reno/Sparks Livestock Event Center or other venue that can house large animals. Does it cost residents to board their animals? There is not a cost associated with this service. How can residents request help? Contact our dispatch line, which is available at 775-322-3647, seven days per week, between the hours of 8 am to 10 pm, holidays included. Can you board exotic animals? It varies depending on the type of animal. Most often, we house small exotic animals at our shelter on Longley Lane, as many exotic animals have special requirements that we cannot provide in an emergency setting. We are not equipped to house large exotic animals. In the event of an emergency, does your group visit homes to help, or do residents bring their animals to the shelter? Both. Is there anything that WCRAS offers that the public typically doesn’t realize? We work with our community partners, staff and other agencies to prepare our community through education, presentations and awareness to the issues that each pet owner can significantly assist WCRAS with in times of emergency. Additionally, we offer specialized training to our staff in technical large animal rescue, HazMat training, and other supportive training to help our staff in the event of an emergency. Has WCRAS been busy this fire season? WCRAS has responded to six fires in the previous two weeks to offer evacuation and or emergency sheltering assistance. We have sheltered approximately 175 animals in various emergency shelters for those fires, including llamas, goats, horses, a turkey, dogs, cats and wolves from a wolf sanctuary. For our readers in other Nevada counties, who should folks contact in the event of evacuation? Reach out to your local Animal Control agency. If you do not have one, reach out to your city or county for resources and prepare yourself and your animals. Go to our website for more tips. Before I started my position with the Living With Fire Program, my husband and I removed our flammable junipers as they were too close for comfort being fifteen feet from the house. Next we were faced with the task of replacing the junipers. 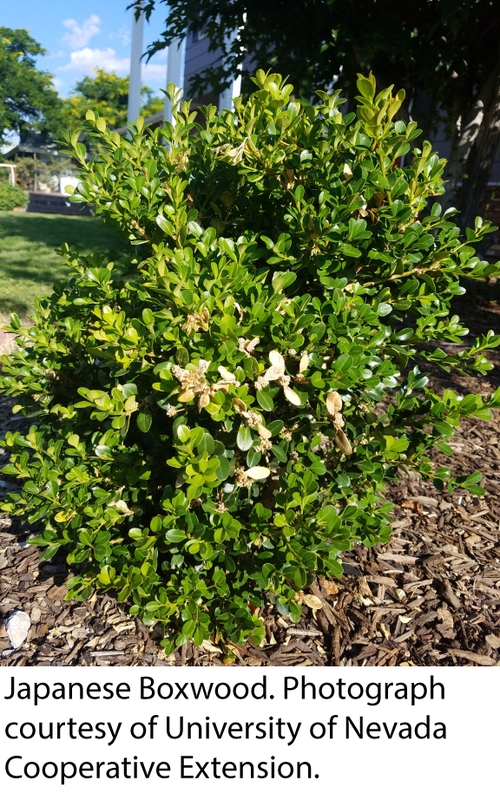 Armed with little horticulture knowledge, my husband and I visited a home improvement store and purchased an adorable little Japanese Boxwood shrub. In our minds, this would be a small, low maintenance shrub. After speaking with University of Nevada Cooperative Extension’s Master Gardener Coordinator, Wendy Hanson-Mazet, I learned that this is NOT the shrub that I should have planted.